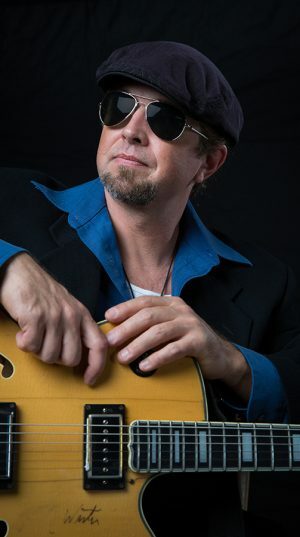 JP Soars is certainly not a typical Blues musician or a typical musician by any right. He encompasses a multitude of influences. As Soars say’s “for me there are two kinds of music. Good and bad. If it moves me I dig it.” While Soars has been an avid student of the Blues for many years in the late 90’s and early 2000’s he also immersed himself in the complex style of Django Reinhardt and Gypsy Jazz. Soars has been incorporating this style into his own shows for a long time and this certainly helps separate him from the rest of the pack. Last year at the Big Blues Bender in Las Vegas Soars invited harmonica virtuoso Jason Ricci and Violin extraordinaire Anne Harris up on stage to sit in. “It’s was a magical almost religious musical experience” Soars says. I first met Anne Harris on the 2010 Legendary Rhythm and Blues cruise while she was touring with the great Otis Taylor. The first time I heard her play it was simply mesmerizing on so many levels. The passion she brings to the stage, the excitement in her playing and the sheer power she exudes forces one to stop in their tracks and pay attention. Since then every time Harris and I wind up on a festival together I always invite her up to play and it it’s always an amazing, inspiring experience. “Getting to play with both Ricci and Harris together on the same stage was one of the highlights of my musical career and after the response from that one show at the Bender I knew we had to somehow make this magic happen again and again and to share this amazing experience with the rest of the world.” Soars contacted both Ricci and Harris and they both felt the same way. With that, the JP Soars’ Gypsy Blue Revue was born so they could bring this very special musical experience to the rest of the world. Lately the word Super Group is tossed around like a hot potato but this goes beyond the clique of Super Group. This is like a religious musical experience. Come get ya some. It’ll do ya good.